Consumers have asked for and are seeing greater transparency both in product content and packaging –important tools in order for them to discriminate between brands – including products marketed as store, house or private label brands. CPG companies and retailers are working harder to hold on to consumers as the modern retail brand proliferation and packaging battle rages on (and I suspect will only get more intense as time passes). The statistics are overwhelming. 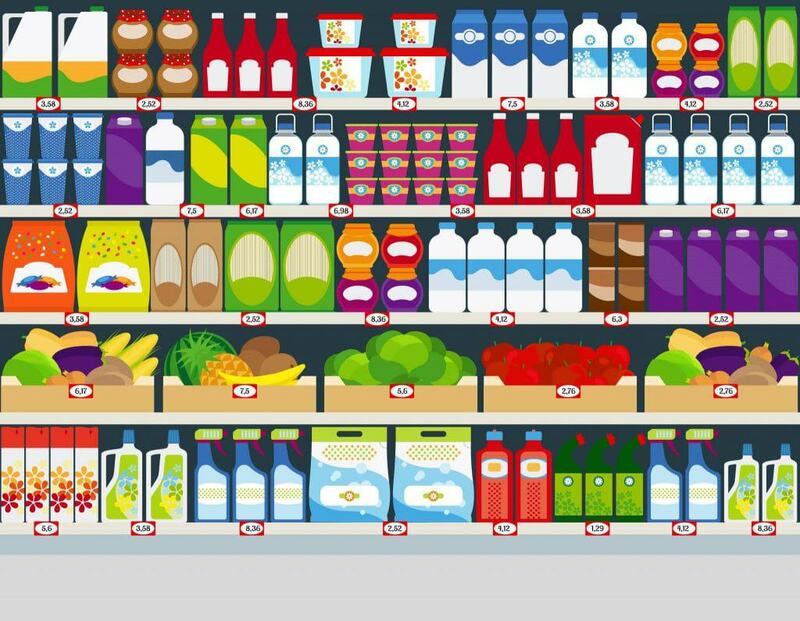 Since the 1960’s when packaging began responding to dynamic changes occurring in the grocery store environment, the average grocery store could stock anywhere between 5,000-7,000 products. Grocery stores were morphing from small corner family markets into the contemporary mega stores that became as much entertainment centers as retail outlets, stocking well over 45,000 products on shelf. Throughout this transition, private label products have quietly plugged along moving through their own evolution. I realize (perhaps more acutely) most consumers don’t know that much of what is sold under the banner of “private label” is the same or similar to products manufactured by and sold under major national brand names. This was recently reinforced when I read that after ending sales of its Elements® private label diapers, Amazon unveiled a new line of private label diapers under its Mama Bear brand, which just happens to be made by Kimberly-Clark, the makers of Huggies® diapers. If you take a good hard look at it, many well-recognized brand names got their start as private label brands owned by companies who used private labels to compete against recognized national brand names. It is true that private label products have long been stigmatized as being lesser than or of inferior quality due mostly to lower pricing and the use of rather plain, generic looking packaging. The reality is by reducing the expense dedicated to decorative or elaborate packaging and by eliminating the middleman and advertising, quality products can be brought to shelf less expensively, resulting in cost savings to the consumer. And, by creating store and house brands or private label products, retailers create the opportunity to build loyalty with consumers beyond brand names by offering products that are price competitive but exclusive to that retail outlet. This builds repeat business and price loyalty by bringing consumers back into the store for the low-cost alternative. So, if private label products are for all intended purposes the same as branded products, where do we draw the line? Within the past several years, private label packaging has made major strides in competing for consumer attention and more aggressively for shelf space by focusing on package design that is competitive if not in many cases superior to branded packaging. Know what you are – it isn’t necessary to “copy” branded products, be true to yourself and be realistic about what consumers should expect whether you have one or ten products. Decide whether you want a brand family look to encompass all products in your portfolio or whether you simply want to compete product to product within a category. Know where your product lives – understand your category and the environmental and competitive factors within that segment – as a private label product you still need a visual design that will stand out from the competitive products next to you on shelf – wherever that shelf is in the store. Tell a compelling story – as soon as a consumer sees your package, you should be communicating key features and benefits in a simple, concise and direct manner. IMPACT – remember you have 3-5 seconds to grasp the consumer attention, prioritize the sequence of communication and guide consumers logically through the package on all package panels. At the end of the day, there is no doubt that cost savings remains the primary driver with private label products. However, at the same time, the ability of private label packaging to break away from continually echoing branded packaging and to innovate will serve to deliver brand loyalty and sales from consumers who are not willing to sacrifice quality for price. Teams involved in private label packaging need to bring the same degree of inquiry and innovation in keeping products relevant to the contemporary consumer. Like packaging teams for branded products, private label packagers need to be sensitive to consumer demands of product transparency, packaging functionality, and sustainability while continuing to do an excellent job elevating the status and stature of private label packaging.